Holiday Nights at Edison & Ford Winter Estates Nov. 24 through Dec. 31, 2017. Visitors staying on Fort Myers Beach from Nov. 24 through Dec. 31 should put the Edison & Ford Winter Estates Holiday Nights on their “must see” list. Now in its 42nd year, Holiday Nights features decorations, children’s activities, museum exhibits and more. A Florida Historic Landmark and a National Register Historic Site, the 21-acre complex in Fort Myers was the adjacent winter homes of Thomas Alva Edison and Henry Ford. Festivities will start at 6 p.m. with the annual tree lighting ceremony. The Waltzing Waters Liquid Fireworks light show will make a colorful impact, and holiday carolers will add to the festive atmosphere. Artist Doug MacGregor will be onsite drawing cartoons this night, as well as on Dec. 9, 16 and 23. The Smithsonian Spark!Lab is a hands-on, interactive exhibit for families and children. Children are invited to make holiday crafts and postcards to send to military personnel. The Children’s Tree Trail opens on Nov. 20 and will include more than 60 trees with hand-made ornaments from local school children. And, of course, Santa will be visiting on select nights. The Edison Ford Museum and Botanic Research Laboratory, as well as the Ford Cottage Shoppe, Museum Store and Garden Shoppe will be open until 9 p.m. every night and refreshments are available for purchase. The museum features two new exhibits. 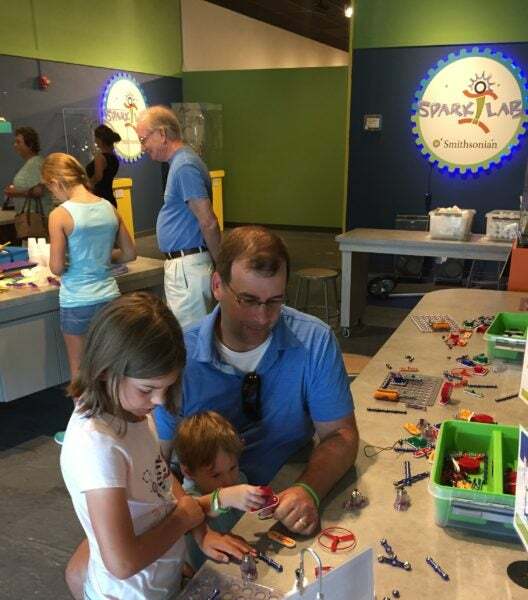 The Smithsonian Spark!Lab is a hands-on, interactive exhibit for families and children. A series of rotating stations with themes from vehicle construction to understanding sound waves will challenge visitors to place themselves in the mindset of an inventor. 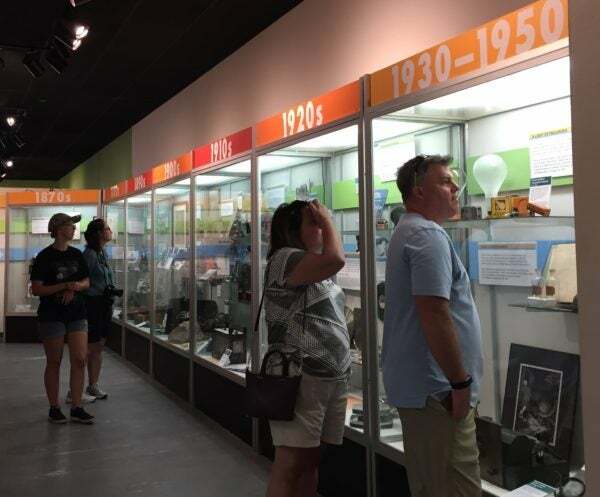 The Timeline of Innovation is a chronological exhibit of both Edison’s and Ford’s major innovations. The timeline highlights achievements in dozens of fields and showcases some of the most interesting artifacts. It also provides visitors with a narrative on how Edison, Ford, and others built on earlier innovations to create their own inventions. The Timeline of Innovation is a new exhibit at the museum. 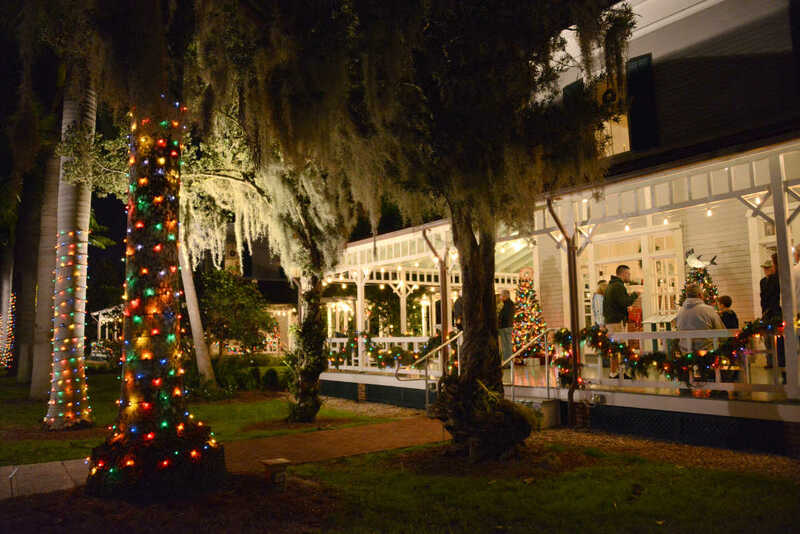 Guided Holiday Tradition Tours will be offered at 6 and 7 p.m. nightly and Inside-the-Homes Holiday Tours on Tuesday nights, starting Nov. 28 at 6:30 p.m. A sightseeing river cruise and sunset cruise are offered through Pure Florida at the Marina at Edison Ford. Holiday Nights tickets for adults are $20, teens (13-19) are $10, children (6-12) are $2, and Edison Ford members get in free. Guided Holiday Tradition Tours are $30 for adults, teens are $25, children $18 and $10 for Edison Ford members. 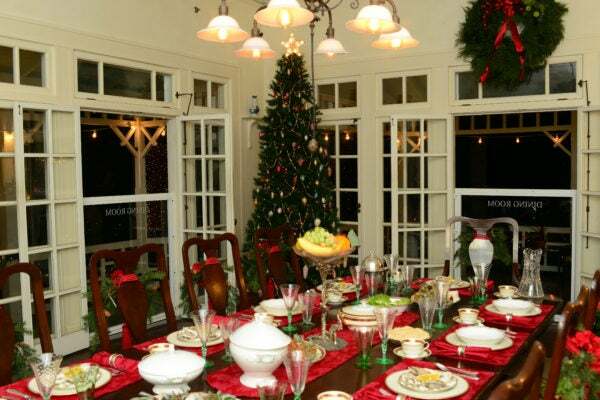 Inside-the-Homes Holiday Tours are $50. For additional information, visit EdisonFordWinterEstates.org or call 239-334-7419. Book your holiday getaway with Sun Palace Vacation Homes today.